Who Else Wants Wearable Technology Info? 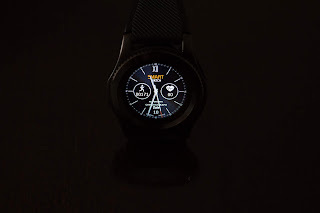 You may know them as activity trackers, smartwatches, smart clothing or may be as smart jewelry, these gadgets have gained a momentum and have stirred up a craze. A lot has been said about these trending wearable devices and people are still speculating about them. Thanks to the Internet of Things that has made products so popular that every second person has taken a liking for these smart devices. Here are all the answers that you may have been looking for before taking a call to invest in one. Wearable technology has become a complete rage with the general public off late. The medical sector has found it to be very useful. Experts have stated that these devices will be the future of medical science. The industry of wearable technologies continues to expand and here is a list of wearable medical devices. 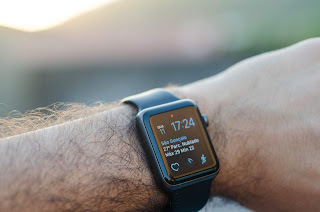 The following is a list of healthcare wearables some of which been released in the market and have gone down well with the general public. We also have composed a post on the basics of what wearable technology is all about in here. This is the latest release in the market and us predicted to make accurate diagnosis. However the concept is still very new and is still under development and research. It will be a while before this is available to the public for monitoring their health. These monitors are found in many different avatars such as arm bands, wristbands and smart watches. A lot of these devices are actually meant to diagnose serious health issues. There are many manufacturers in the market making these devices and each of them have been given suitable upgrades each time. These are very popular wearable devices in healthcare and are regularly purchased by people with diabetes. The good thing about this is that a patient can wear this throughout the day to keep an eye on the level of sugar in the blood. To get the best out of this device you simply have to take blood samples twice within a day. The real- time data given by this device will keep the patients well informed so they can adjust the dosage of their medication as and when needed. This device is not tough to use. Research has revealed that about 1.7 million women suffering from advanced breast cancer. Many of whom detect the condition when things are really bad. Doctors often may stress on getting mammograms done. To make things easier manufacturers of wearable devices have developed a gadget that can be worn like a bra. This device collects readings which are then forwarded to a mobile device. The good thing is that these are extremely helpful in detecting tumors in their early stages. Newer versions of this device are constantly being worked upon. These devices usually have very powerful sensors in them that keep a track of an individual’s bio-metrics. These can track an individual’s health when the conditions are serious. These are used to monitor ay wound like bed sores and burns present on the body. These gadgets keep a track of the early signs of healing. This is really easy to use so people of all age groups can avail its benefits. These are very popular devices and are used by athlete to measure their endurance and fitness levels. These have completely changed their lives and now they can improve their performance based on the data supplied by the device. These devices have powerful sensors that will communicate the heart rate, rest, steps, and the amount of medication taken. The data is transferred using a mobile app. Doctors all over the world recommend this device. Here are some of the advantages of wearing such devices to monitor one’s health. Raises awareness- It is observed that when people feel sick to the point where things are unbearable then they visit a doctor. It may be too late by then, so that where these devices come in. These devices are designed to constantly monitor your body for any un-natural changes. 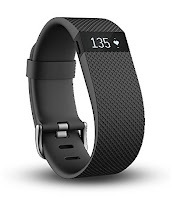 In other words these devices will get you to be more proactive in monitoring your health. These devices are usually used to keep others aware of the patient’s health. Keep yourself engaged- These devices will keep you engaged in monitoring your health. Which means you will start rectifying your lifestyle and habits based on the readings given by these devices. To get a clearer picture you can collect the data from the devices and consult your doctor. At present most these devices track sleep quality and heart rate. Certain advanced gadgets can also provide data related to calorie intake and weight. Performs multiple functions- There are countless manufacturers making different kind of wearable gadgets. The ones meant for medical diagnosis come with various advanced features to detect health conditions within the body. Newer devices with vast improvements are being constantly released. For example some devices can help an individual improve his or her posture. Experts are of the opinion that the importance of these devices will increase manifolds in the future and will be utilized by the healthcare sector in an effective way. So, you see that is very essential to create platforms that utilize advancements with sensor technology. Most of these devices connect with mobile phones through an app and the data is generated real-time. The best way to buy these devices is to do some research on the internet and then consult a doctor. Also you must make purchases from a reputed brand just to make sure that you get the right thing. Also the manufacturer should offer a valid warranty on such products. You can buy these products from online stores and most of them offer good discounts on the products. Do not rush the process, take your time and evaluate all your options. So, this is all the information that you need about these devices. These wearable medical devices can be used to monitor a patient’s health from a far off location. Using such technology is an efficient method to keep a track of senior citizens with serious issues. This technology is relatively new and hence it has enough scope for further developments. So, if you are interested in buying such devices then you should seek your doctor’s consultation. Also you must buy these devices from a reputed manufacturer. With such devices at our disposal the future looks hopeful and bright. Over the years we have seen a lot of evolution in technology that has made our lives so much easier. In the current scenario wearable gadgets are the current rage in the market. This technology is not just restricted to watches, if you take Google glasses into consideration this gadget helps us look at the environment around us in a completely different way. These devices are paving a new lifestyle for the coming generations. 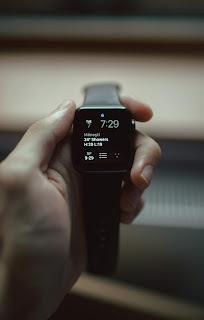 There are obvious certain people who have criticized the fact that people are becoming addicted to technology such wearable devicesbut most experts have stated that this technology has more benefits than minuses. So, to learn more simply read on. Sometimes when you take a step back and analyse your lifestyle it could come as a shocker to see that your life has become so sedentary and this could lead to stress and fatigue. We become so engrossed with our work that we forget to indulge in any physical activities that increases the chances of obesity, heart disease and cancer. This will lower your life span and increase the amount of anxiety in your mind. There is no doubt that the fitbitis a fabulous tool to motivate yourself to get yourself moving throughout the day. To understand what makes the device so popular one has to get into the benefits that it offers.